Broadway restaurant wows Chowderfest goers with seafood chowder. Nothing cures cabin fever like a hot bowl of chowder. At last weekend’s 20th annual Chowderfest in Saratoga Springs, more than 35,000 chowder fanatics gorged themselves with $1 sample cups served up by eateries across Saratoga County—and ultimately crowned the Thirsty Owl’s chowder the best on Broadway and beyond. 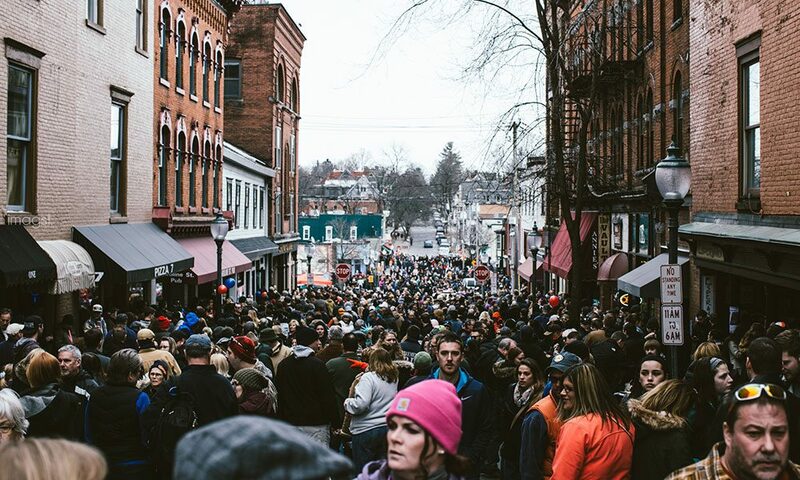 Chowderfest is one of the most popular events of Saratoga’s Winterfest. Last year, in addition to the slough of musical acts and chowder-themed family-friendly activities, local restaurants served more than 130,000 cups of chowder to tourists and townies alike. 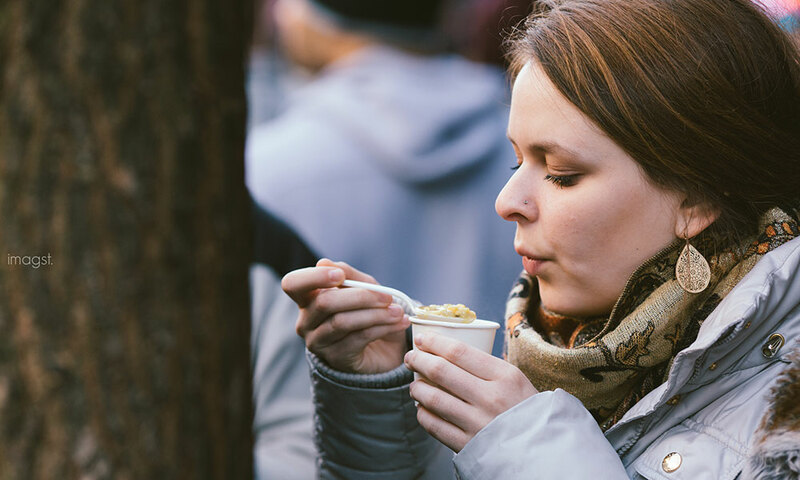 At this year’s festivities, which took place on Saturday, February 3, nearly 140,000 cups of chowder were served. “Our secret is simple; make a lot of chowder and spend a few bucks making it,” says Josh Cupp, General Manager of People’s Choice Award-winner Thirsty Owl Saratoga. Thirsty Owl also won last year’s coveted People’s Choice Award, as well as Best on Broadway both years. “Our hook last year was a U12 shrimp wrapped in bacon with a candied coating.” This year, the restaurant won with a simple seafood chowder. Additional 2018 Chowderfest category winners included Ravenous (Best Dessert Chowder); PJ’s Bar-B-QSA (Best Non-Downtown Chowder); Courtyard by Marriott (Best Off-Broadway Chowder); Dizzy Chicken Wood Fired Rotisserie (Best Newcomer); and Bookmakers Restaurant and Lounge at the Holiday Inn (Best Chowder Made With Saranac Beer). The Thirsty Owl won both the People’s Choice and Best on Broadway awards. Sophia Perez is a California-raised freelance writer currently based in Brooklyn.